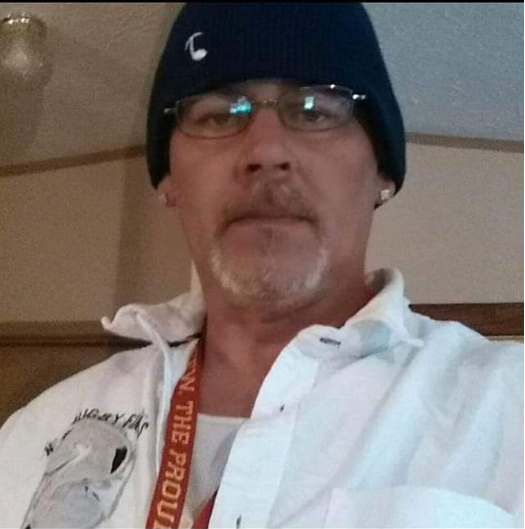 James E. "Jim" Hill, 47 of New Bethlehem, PA died unexpectedly Wednesday, April 10, 2019 at the Clarion Hospital Emergency Room. Born September 2, 1971 in Brookville, PA the son of the late Lawrence E. Hill and Myra A. (Kunselman) Hill, she survives in Ringgold, PA.
Jim attended school in Brookville and Punxsutawney. He was employed as a DSP worker for Valley Advantages in New Bethlehem, PA. Jim was a member of the Fraternal Order of Eagles Aerie 3807 in Clarion and Veterans of Foreign Wars Post 2145 also of Clarion. He enjoyed tinkering with his truck, model cars, and riding his ATV. Along with his mother he is survived by; three sons, Brandon Hill of Chloe, Devon Crissman of New Bethlehem, and Sutter Hill of New Bethlehem; two daughters, Laramie Crissman of Sligo, and Cheyenne Hill of New Bethlehem; four brothers, Wylie Hill of Coolspring, John Hill of Ringgold, Greg Hill of New Bethlehem, and Bob (Jen) Hill of Ringgold. Also surviving are six grandchildren, September, Clayton, Jaxon, Juliana, Thea, and Leon. Also surviving is his fiancee of twenty three years, Brandi Crissman of New Bethlehem. Along with his father, Jim is proceeded in death by his sister Tracy Smith. Family and friends will be received on Saturday, April 13, 2019 from 5 PM to 8 PM and Sunday, April 14, 2019 from 1 PM to 2 PM at the Furlong Funeral Home, Gregory K. Furlong FD, corner of Broad Street and First Ave., Summerville, PA.
Service will follow at 2 PM with Rev. Mark Deeter of the Wesleyan Methodist Church of New Bethlehem officiating. Interment will follow at the Vandervort Cemetery Clover Twp., Jefferson Co., PA. In lieu of flowers donations can be made to Furlong Funeral Home to help defray funeral cost.